San Juan is a beautiful town with a landmark that is known all over the world. 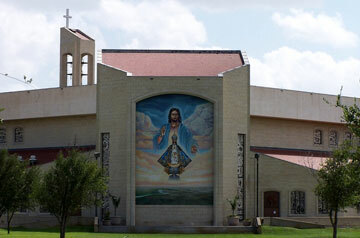 The Basilica of Our Lady of San Juan del Valle National Shrine is a National Landmark of the Catholic Church. Pope John Paul II designated the shrine as a minor Basilica on June 12, 1999. San Juan’s community is nestled between two towns; Pharr and Alamo and has a diverse blend of professionals. The Pharr San Juan Alamo school district is far reaching and the schools are well known for their excellence in education. If you want to try a local favorite; look for one of many raspas (snowcone) stands throughout the city. Que sabor!